Word of the Month "Independent"
"Building Tomorrow's Community of Leaders Today"
Lamar Elementary is ready for a great year, and we want to welcome you to join us in making our students as successful as possible. The elementary students were able to plant a garden closer to their building this Spring. Here is some of the fruit that was picked this summer. Mr. McCarley is a graduate of Lamar and is excited about the challenge of making Lamar Elementary a great place to learn. 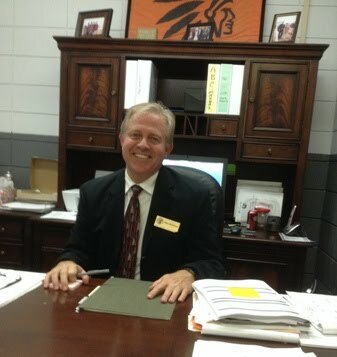 He is starting his third year of leading our school to help shape our students both in academics and character. He welcomes families to be involved in our school in order for us to make a greater impact on our students. In order for students to be successful it takes all of us working together. The Lamar Wellness Center is open to the public. Clinic hours are Monday-Friday, 8:00am-4:30pm. To make an appointment call 479-885-3966. The clinic is housed in the old Totem Pole Daycare Center on Lamar's campus behind the elementary school. Dental is now offered at the clinic to students and staff. Pick up a registration form in the offices for dental.